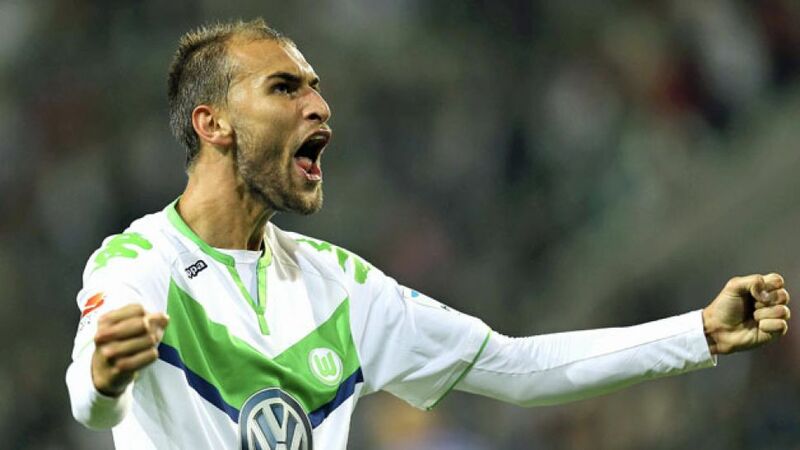 Wolfsburg – Bas Dost initially struggled to make an impact in German football, but if his exploits last season are the benchmark, VfL Wolfsburg and Bundesliga fans have much more to look forward to from the Dutchman. His 16 goals in 21 games catapulted the Wolves to second place behind FC Bayern München last term, ensuring a far closer title race tighter than in either of the previous two campaigns, and has already netted twice this season. bundesliga.com caught up with the 26-year-old to discuss the secret behind his recent form, the impact of new signing Julian Draxler and what the immediate future holds for the Lower Saxons. bundesliga.com: Bas Dost, you're actually now into your fourth season with VfL Wolfsburg, yet it seems like you've only just arrived. Can you explain that? Bas Dost: I think it's pretty easy to explain – only last season was a really good one for me. In the two seasons before, I didn’t really play all that many games because I was injured for one, but also because I had not fully adapted to the Bundesliga. Since last season, I've developed a really good feeling and I'd really like to carry on in this vein of form. bundesliga.com: You arrived as the top goalscorer from the Dutch Eredivisie, but needed time to get used to the Bundesliga. Is there that big a difference between the two leagues? Dost: There really is a big difference, yes. Felix Magath, who signed me for Wolfsburg, told me that I would need two years before I was really ready for the Bundesliga. At the time, I thought I'd need much less, but it really does take time before you get used to everything – the new surroundings, the way the football is played, the higher pace of the game etc. Now I've worked it all out and that gives me even more motivation for the challenges ahead. bundesliga.com: Last season you scored 16 goals in 21 games and were Wolfsburg's number one striker. Is that how you now see yourself? Dost: I know that at a club with so many top players like Wolfsburg, if you play two bad games, then there's somebody else there who can do just as good a job. Each time you play, you've got a point to prove. bundesliga.com: Forwards nowadays are not only judged on goals, but also on how they perform defensively. How do you feel if you don't score but give it everything in a game? Dost: One thing I do want to say is that Dieter Hecking was the first to tell me how I've got to work in the Bundesliga. To begin with, I thought I was only here to score the goals. Now, though, I work a lot more to win the ball and even if I'm not scoring, I'm still making a major contribution to the team. But to be honest, even if I do all of my defensive duties perfectly but don't score, then it's not a perfect game for me as a forward. I put everything into scoring in every game.